I went through my books and picked out all of the ones that had something to do with the beach, the water, or water creatures. There were a lot more than expected! 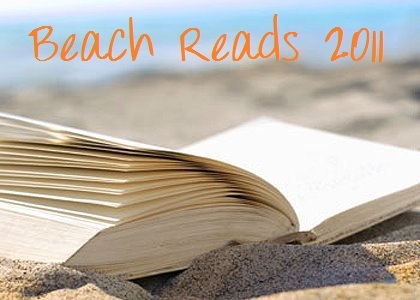 Here are some of the highlights: Christine Feehan's Sea Haven series, Alex Duval's Vampire Beach series, and books by Tera Lynn Childs, Tracy Deebs, Tracy Porter, and Tricia Rayburn. I'm sure some exciting but not actually beach-related new releases will also make their way onto this list. This post will be updated as I put up reviews, starting tomorrow! Do you have any favorite beach reads? List them in the comments below!